As April 7 looms on the calendar, it becomes more and more clear that Vail Resorts has little to no interest in the local population of skiers and snowboarders here in Park City. With one of the better snow years on record and also one of the earliest closing days on record, one can’t help but wonder why Vail Resorts will not extend the ski season. When asked, Park City Mountain Resort Senior Communications Specialist Jessica Miller claimed that she had no comment, so perhaps speculation is all we can do. It’s understandable to think that a one- to two-week season extension would serve mostly the local population. Trips would not be overwhelmingly booked by tourists to snag a few more days of skiing in April. While locals have a longstanding “reputation” for not spending money at resort restaurants, shops and hotels, we do buy our season passes, just like everyone else. We are also the ones that help run the restaurants, shops and hotels that make Park City Mountain Resort such a great place to visit for hundreds of thousands of guests each year. Vail Resorts could most certainly offer a season extension. They have done so in the past, along with the previous owners of PCMR. Even having just Crescent and 3 Kings lifts open for another week would be nice. 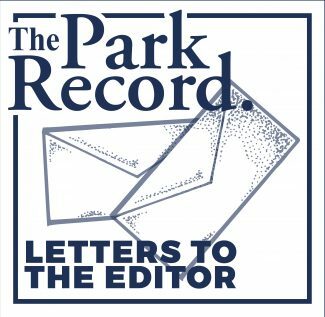 Although, just like with the removal of night skiing, this is a decision that would need to be based on our community and the people that live here, not solely on profits and losses, so I am certain that Bill Rock and his team will disregard this letter just like they have done with countless others. Skied Deer Valley in 1981 when Edgar Stern was at the helm. In time, was able to make a few turns with my next-door neighbor Stein Eriksen. Both were ski lovers. Now the mountain is no longer about the sport, rather, all about profit. The mountain is crowded. Recently, I was hit twice in the same day. Once in the Northside area, the second while entering the “Silverlake Express” lift line. Friends of four decades are selling and leaving town. One has settled in Wyoming, the other in Sun Valley, Idaho. Thank you for the “Ikon” curse, Alterra! You are such a loving, generous corporation! For the 2018/2019 season, Deer Valley generously gave all season pass purchasers an Ikon Base pass as an additional benefit. For the 2019/2020 season, all season pass purchasers will again receive the Ikon Base pass, except seniors have been excluded. Deer Valley, for some unknown reason, has decided to take away this benefit from seniors. Granted seniors can purchase a season pass at a reduced rate. But there are other groups that can also purchase a season pass at a reduced rate, for example college students, young adults and children. They, however, will still have the benefit of receiving an Ikon Base pass. Why are seniors being singled out as not worthy of receiving this benefit? Seniors are a core segment of all Deer Valley guests. In addition to their pass purchases, seniors generate a significant amount of additional revenue on the mountain themselves and through family and friends that they invite to Deer Valley. Furthermore, while being excluded from the Ikon Base pass benefit, seniors are also disadvantaged in the amount of Wasatch Benefit days provided. In previous seasons the Wasatch, Solitude and Brighton benefits amounted to 10 ski days in the Cottonwood Canyons. This coming season the benefit is only four days. That is a double whammy for seniors. 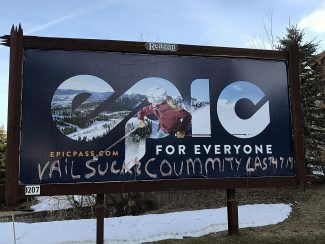 As core contributors to Deer Valley, seniors are entitled to a full explanation as to why they have been singled out and excluded from a significant benefit provided to other season pass purchasers. Deer Valley knows exactly who their senior pass holders are. Deer Valley could easily contact them all to provide an explanation, which would have been the right thing to do before putting the policy change in place. Deer Valley, on behalf of all seniors, please explain why we have been singled out as not worthy of the basic benefits other season pass purchasers will be entitled to.